Zagreb is the largest city and the capital of the Republic of Croatia. It is found in the northwest region of the country and the Sava river runs alongside the city, while the southern slopes of the Medvenica mountain look on. The last official population census, held in 2011, stated that the city of Zagreb has a population of 792,875 while the larger metropolitan area has a population of 1,113,111. This makes it the only metropolitan area in Croatia with a population in excess of 1 million people. There is a considerable amount of history in Zagreb, dating back to Roman times while the city has been the capital of Croatia since 1945. There has been a massive sprawl of land and people since that time and Zagreb is recognised as a city of great interest and popularity in Europe. With Zagreb welcoming around 1 million tourists every year, it is a city that knows how to put on a warm welcome to guests, and this is just one of the reasons why the city was selected to host a group in this summer’s leading basketball tournament. Zagreb is guaranteed to be one of the most popular cities in Europe this summer because it will play host to Group C in the 2015 EuroBasket tournament. 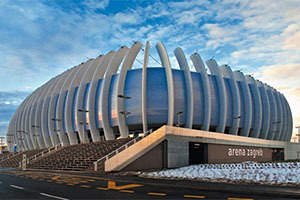 The Arena Zagreb is a multi-purpose venue located in the southwestern section of the city. Around the venue is a shopping centre and the venue has been used for a variety of sports including basketball, hockey, athletics, handball and volleyball. The venue also plays host to a considerable number of music concerts while the area also hosts a wide range of conventions, fairs and exhibitions. The project was started in the summer of 2007 and the first event held at the venue took place in December of 2008. The cost of construction for the Zagreb Arena was €89 million. The initial tender for the venue was put forward to be a host for the 2009 World Men’s Handball Championship but the venue has been in almost constant use since then, providing a focal point for many sports in Croatia. The presence of many international music stars and performers at the arena has also brought a wide range of attendees to the venue. There will be three games a day in the venue with the games lined up for Saturday the 5th of September, Sunday the 6th of September, Tuesday the 8th of September, Wednesday the 9th of September and Thursday the 10th of September. This means that Monday is the day off in the group, which will see three days of consecutive play at the end of the group. There will be 4 teams progressing from Group C to the knock-out round and Zagreb is set to be buzzing over the week. Given that Croatia are involved in Group C, it is understandable that they will have most of the crowd behind them but there will be a lot of support for all of the teams involved with the group. 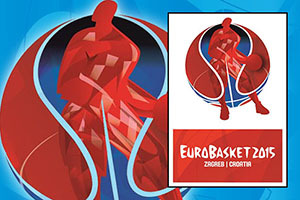 Fans from Georgia, the Netherlands, Macedonia, Greece and Slovenia will all receive a warm welcome in Zagreb for Group C for the 2015 EuroBasket tournament.